HOUSTON - An overheard and non-confirmed statement at Ben Taub Hospital Tuesday triggered multiple calls to police, according to Houston police spokesman Victor Senties. Houston police Chief Art Acevedo said police received the first reports at 1:58 p.m. from the hospital located in the Texas Medical Center. He said those reports included a vague description of a man with a gun. A preliminary search of the entire hospital was completed and no gunman or victims were found, Acevedo said. He said SWAT officers will complete a secondary search of the facility to confirm the situation has been resolved. The reports of the shooting prompted a “Code White,” the code used to signify an active shooter, was issued by the hospital. Some staff and patients then evacuated the facility, while others sheltered in place, Acevedo said. Dozens of patients on gurneys were seen being wheeled out to a waiting box truck where they appeared to be receiving treatment. KPRC Channel 2's Syan Rhodes reported that patients who require critical care were taken to Memorial Hermann Hospital for treatment. Stunned visitors to the Ben Taub emergency room recounted what happened as the "code white" active shooter alert was sounded. "Terrified I would have never expected something to happen like this," said Guadalupe Rodriguez who was in the ER waiting for her father to see a doctor. Information technology worker Dion Lee had just returned to his office at Ben Taub after taking a break outside. "My colleagues were running out the building screaming 'Code White,' which means active shooter," Lee said. Doctors and nurses evacuated patients, some still in their hospital beds. The most critical taken to other hospitals. "You have to control the natural panic which people in emergency medicine do all the time it's to function under stress and so they did that," said City of Houston EMS Medical Director Dr. David Persse. A picture from inside the hospital also showed armed SWAT officers walking through the halls. The boyfriend of a woman who works at the hospital told KPRC Channel 2's Jonathan Martinez that she was hiding in a closet with other people while the situation is resolved. An officer was with the group, as well, the man said. "Active shooter situation at Ben Taub Hospital. Do not go to Ben Taub Hospital. If at Ben Taub, follow emergency response guidelines of the hospital. More details as it becomes available." Students from St. Mark’s Episcopal School are safe after the scare at the hospital. The students were at the hospital delivering artwork to the cardiology clinic as an outreach project. "Today 5th grade students from St. Mark’s Episcopal School were delivering student-created artwork to the cardiology clinic at Ben Taub Hospital as an outreach project. While at the hospital, there was an emergency that required a lock down. Students remained safely secured within the cardiology clinic for the duration of the event, and have returned from the hospital and headed home. We are grateful for the doctors, hospital staff, Houston Police Department, and SWAT officers who helped keep our students safe and calm. We are proud of our students who were respectful, polite, and quiet during the situation. The school made every effort to keep parents and families informed during and after the event. Students will meet with the School Counselor and School Chaplain tomorrow morning to provide support and help them process today’s events." 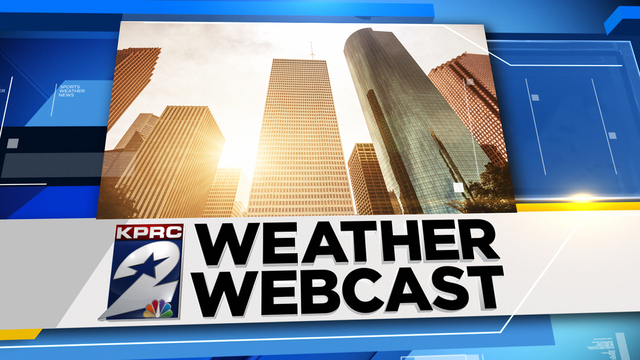 Stay with KPRC Channel 2 and Click2Houston.com for the latest on this developing story.